These aluminium door handles are to be used in conjunction with a latch on your non locking doors. The levers on backplate are a popular choice of budget handle, offering a sleek and simple design at a great low price. 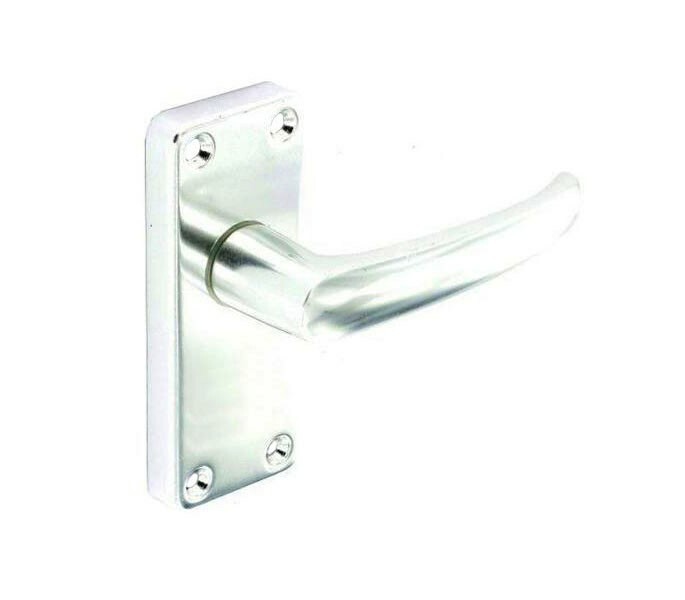 This design of aluminium handles on backplate is also available in bathroom and key locking models. These aluminium door handles are supplied in pairs and include a spindle and wood screws for fitting. The backplate has a projection of 10mm, measures 104mm in height and 42mm in width. Overall the projection is 46mm and the lever is 102mm in length.